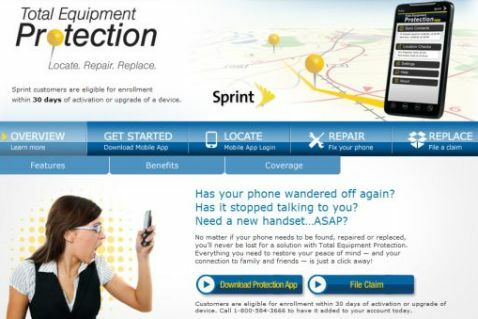 Good news for Sprint customers who sign up for Sprint Total Equipment Protection plan! Sprint has launched its new, free Total Equipment Protection (TEP) App for Android and BlackBerry devices, which includes an array of advanced features to track/locate your lost, stolen or damaged mobile devices. In order to protect and secure your private and confidential information stored on the lost smartphone, Sprint’s TEP App also allows for erasing, backing up and restoring your lost smartphone’s personal contacts. The free Total Equipment Protection App that supports BlackBerry and Google Android platforms is included as part of Sprint Total Equipment Protection plan, which is priced at $7 monthly per line of service.